Over the past two decades, there’s one thing you could always count on when you came to Altadena Baptist Church — Jean Bouchebel would greet you with a warm handshake and a big smile. If he knew you well enough, the handshake might be replaced by kisses on both cheeks, and he’d likely exclaim, “Habibi!” We’re all aware that Jean is from Lebanon and that he’s involved in some sort of relief work, but most of us have never heard the amazing backstory about how he got to be the person he is. Childhood – He was one of six children in a family in eastern Lebanon, living with his mother, his truck-driver father and an unmarried uncle. When he was seven, his father died, and his mother, who suffered from epilepsy and had debilitating seizures nearly every day, could not care for the children. They were separated and sent to three different orphanages. Jean and one sister joined one hundred other children to live at a Catholic facility, where he was cared for, fed, educated and learned to do household chores. He was there for the next seven years, able to visit the rest of his family only at Christmas and Easter. Early Work and Career – When he was fourteen, Jean was emancipated and had to become a man. He gained employment in a hotel kitchen, washing dishes, pots and pans from early morning until after the evening meal. He was given a place to sleep and food to eat, and every month he was paid $3, which he sent home to help care for his mother. His work ethic earned him promotions over the next twelve years, first to busboy, then assistant waiter, waiter, captain, headwaiter, maitre’ d’ and finally Director of Foods and Beverages. Meanwhile, he attended classes to improve his English, math and general skills. Marriage and Family in Wartime – In 1966, Jean met Renee, and six months later they married. The young family expanded in 1969 with the birth of Patrick and in 1975 with the birth of Carol. Two other important things happened during this time. In 1973, after five years of serious Bible study, Jean came to personal faith in Jesus Christ at Bikfaya Baptist Church. Renee and the children joined him in becoming part of the church family, and this was a strong force in their lives from then on. Meanwhile, the Lebanese Civil War raged from 1975 to 1990, and this dominated the family’s life. In July of 1976, terrorists destroyed the Phoenecia Hotel by burning it. Jean was scheduled to be working, but he had a strong premonition that caused him to go home. All his co-workers were killed. Blossoming Career – Needing to find employment, Jean applied for a job in Riyadh, Saudi Arabia (which Jean refers to as “that land of sand and money”). He became the Director of Food and Beverages in the InterContinental Hotel, part of a five-star chain of about seventy hotels worldwide. While he was there, he organized and implemented a wedding reception for a princess attended by two-thousand women, a meal in honor of the Queen of England attended by six hundred dignitaries and a state dinner honoring U.S. President Jimmy Carter. Before he left, he was overseeing food service in three of the chain’s hotels in the Middle East. Meanwhile, he became involved as a leader in an underground church during a time when Christianity was outlawed in the nation. Call to Service – Renee and the children remained in Lebanon during Jean’s four years in Saudi Arabia. She kept communicating with him about the many people, including children, who were suffering from the continual war. In spite of his career success, the Lord seemed to be leading him to go back and minister to these refugees in the name of Jesus. He resigned and made the move in 1980. He began ministering in the refugee camps as part of the outreach of Bikfaya Baptist Church. During this time, he began studies in a seminary to upgrade his knowledge of the Bible and Christian teaching. He networked with other individuals and groups who were working among the poor. That’s how he came in touch with World Vision, the international Christian relief organization. Leadership in World Vision – World Vision had a plan to reach out to help refugee families in the camps in Lebanon. However, they were hampered by the fact that foreigners were not being allowed into the country at that time. Jean was a native Lebanese, and he knew some local political leaders, as well as the Patriarchs of the twelve Catholic and Orthodox denominations. He also had firsthand knowledge of relief work, as well as organizational skills from his career in hotel administration. 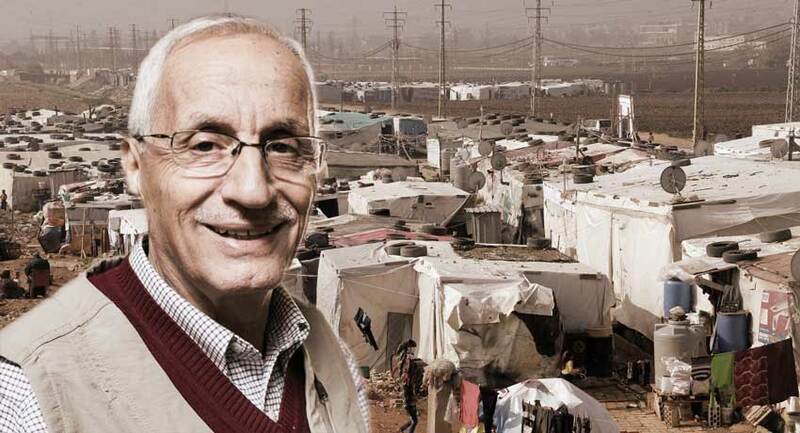 In 1983, he was hired by World Vision and became their valuable man-on-the-ground in Lebanon. This was the beginning of his fifteen-year ministry with this organization throughout the Middle East, including Iraq, Syria, Jordan, Cyprus, Greece and Portugal. 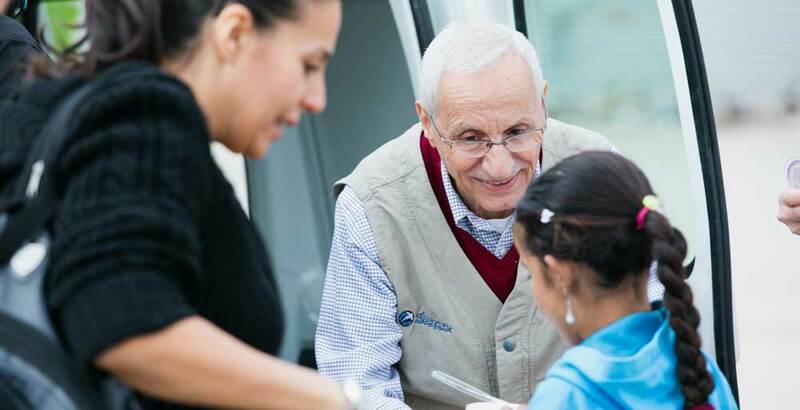 In 1999, World Vision moved Jean to its headquarters in Monrovia CA to work with Arabs dispersed throughout the world to persuade them to support efforts to help their fellow-countrymen in Middle Eastern refugee camps. During this time, he helped World Vision to build relationships with the Catholic Church leadership in Europe. He even had the privilege in 2002 of helping to coordinate an audience for senior World Vision leadership with Pope John Paul, and he got to shake the Pope’s hand. He officially retired in 2011.